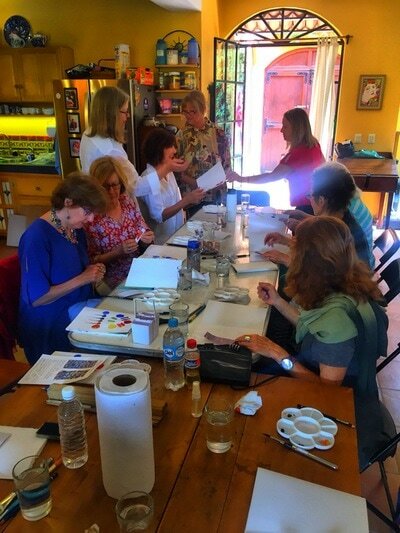 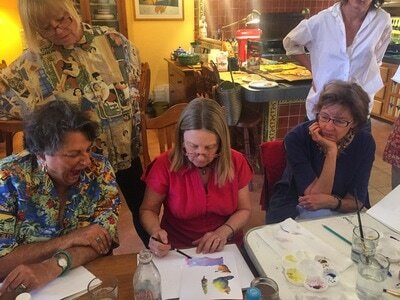 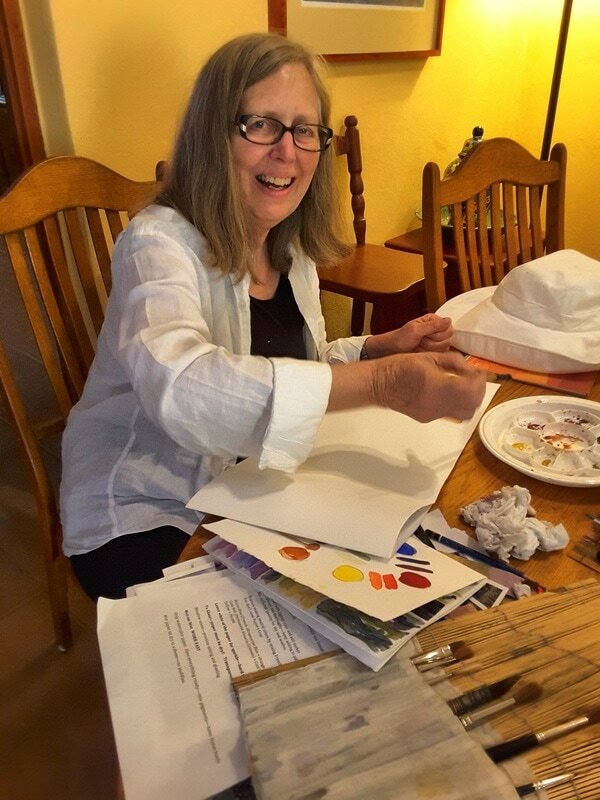 In this two-part Saturday workshop, local artists Lorie Topinka and Laurie Richards guided us on taking our watercolors past the "coloring book" phase and discovered how to blend colors and use specific techniques to improve our watercolor style. 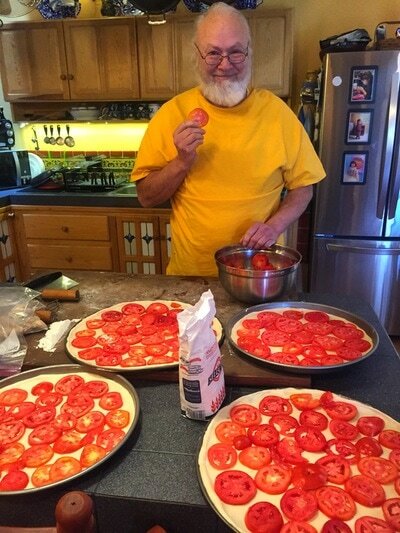 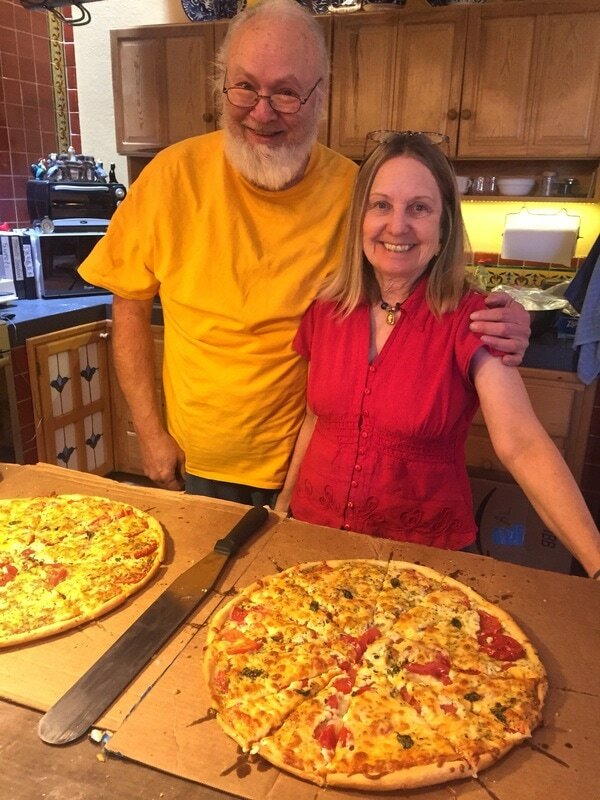 Laurie's husband David provided a delicious homemade pizza lunch, and each of us left the workshop with a handy reference book that we each made so we can continue to practice the valuable techniques the dynamic duo shared with us. 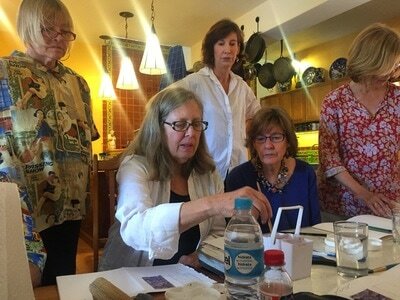 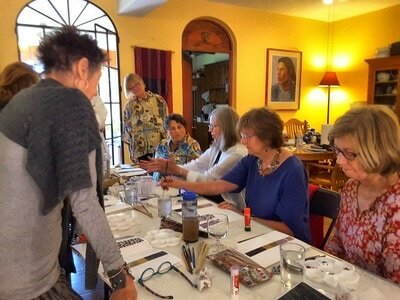 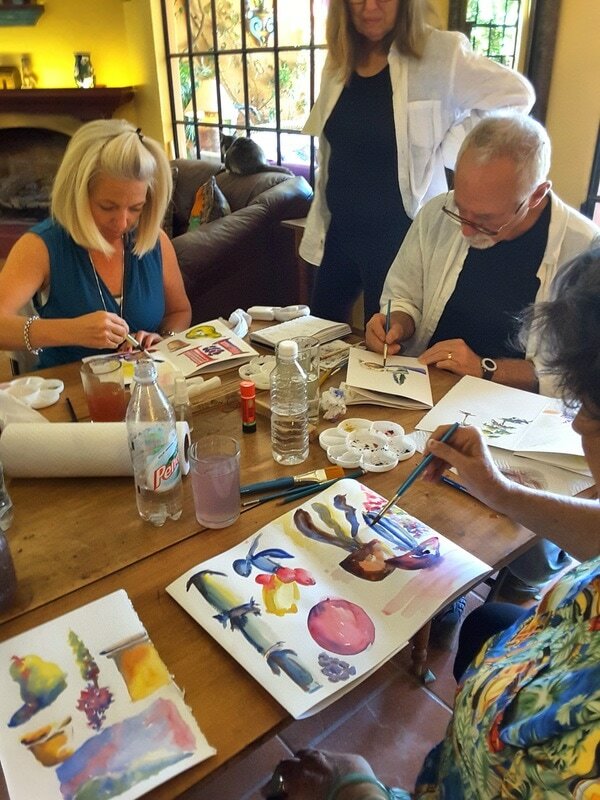 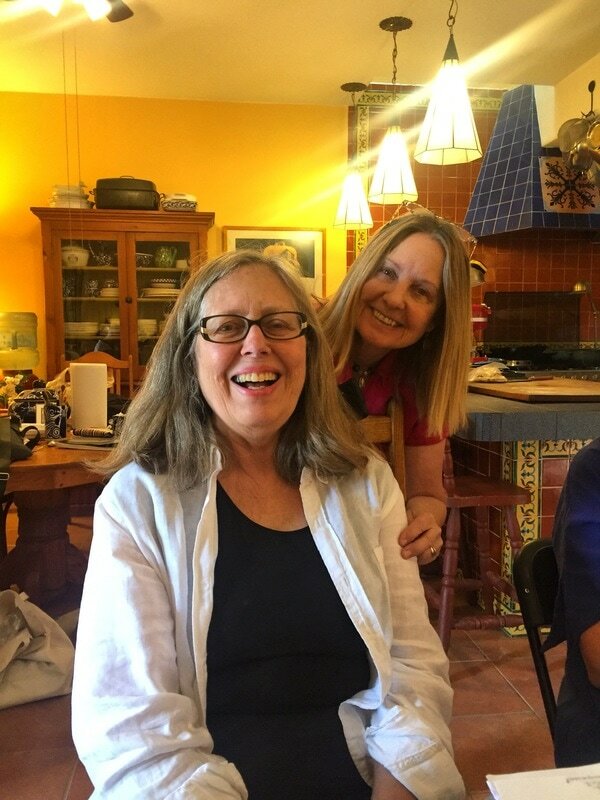 Stay tuned for more watercolor workshops with Lourie-Squared in the fall, and thanks for joining us!